Born and raised in Southern California, Holly began her real estate career at a real estate investment firm in San Diego, shortly after receiving her MBA. She and her husband began their family in the cute, family oriented town of Scripps Ranch, San Diego. However, when it was time for her daughter to start kindergarten, it made perfect sense to move back up to La Canada for the fabulous schools in the local area as well as the proximity to family. Looking for a way to connect with other families in the area, Holly purchased a Stroller Strides franchise and for 3 years, she owned and instructed fitness classes for mothers with their babies. Through Stroller Strides she built lasting relationships with her clients while utilizing social media and technology to continually market and build her client base. Her commitment to clients while staying abreast of developments in the real estate community and technology ensures that her clients have access to the best tools to market their homes for sale in today's market. Since moving to La Cañada, she and her family have enjoyed all that the community and surrounding communities have to offer including parks, the farmer's market, restaurants and the many community events. 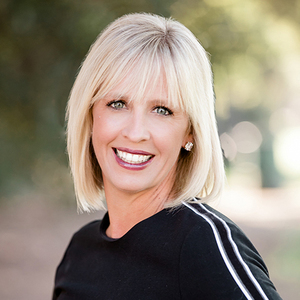 Holly is an active member of the community, including SCRUBS, Hillsides H100, La Canada Baseball & Softball Association and Paradise Canyon Elementary School. Holly's commitment to her clients and the community is unwavering. She looks forward to seeing you through the process of buying or selling your home.